​and learn how to get more of it at night. You're a busy professional and you're worried about not getting enough sleep. You're tired all day and know you need more sleep but spend your nights wondering why you can't get it. You lay awake in bed and spend forever staring at the ceiling. Or do you wake up at 3:00am every night and cautiously open one eye and look at the clock, worried that you have a few precious hours left before your alarm goes off. Maybe you’re frustrated your spouse/partner can fall asleep at the drop of a hat. Everyone else in your family sleeps all night while you lay there and stress about your day, your job, your health, the kids...everything that’s keeping you from sleeping. You want to be able to fall asleep easily and sleep all night, but you don't know how to do it. You can’t remember the last time you woke up in the morning feeling rested and happy. You’re constantly reaching for another cup of coffee or unhealthy snack to fuel you and getting to the gym is lower on your priority list. Your lack of sleep leaves you unfocused and unable to concentrate at work. You're so worried you’ll screw something up at work because you’re so sleepy. What would getting 8 hours of sleep at night do for you? Imagine getting a full night of sleep. What would 8 hours of sleep would do for you? When you put a priority on your sleep, you won’t have to wonder how you’ll function the next day or rely on caffeine and unhealthy snacks to fuel you. You’ll feel stronger, be able to focus better at work and handle daily stress with confidence. You’ll wake up in the morning naturally with a sense of excitement of the day ahead. Your mind and body rested, and with a renewed sense of strength and being full of life. Image what it will feel like for sleep to come easily, before life, family and your job got in the way. You’ll have your evenings to spend with your spouse, read or just have some time to yourself to relax. You’ll have a renewed focus on your health, your mind and your body. It's like having a personal trainer for your sleep. You can do go to the gym and workout, and maybe lose a little weight. If you have a trainer, you'll know exactly what to do to reach your goals and be kept accountable while you work on those goals. 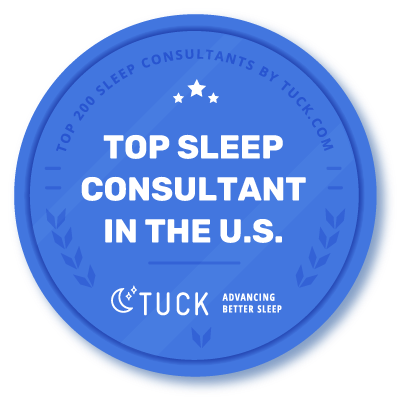 As a sleep expert and coach for exhausted professionals, I'll show you exactly what to do and make sure you reach your goal of falling asleep easily and sleeping all night. ● Waking multiple times at night and have trouble getting back to sleep. ● Feeling so exhausted that you’re afraid you’ll screw something up at work? ● Worried that you’re getting sick again? ● Laying awake at night worrying how much sleep you’re not getting? ● Can’t remember what it feels like to get a good night’s sleep? 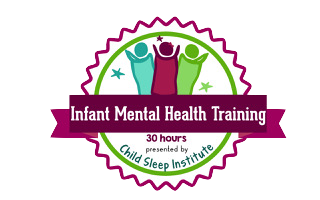 Hi, I’m Christine Stevens and I support professional adults that want more sleep at night but aren’t sure how to get it. I work with tired adults who want to put a priority on themselves and get enough sleep at night. They’re tired of hoping it will happen and want someone to tell them exactly how to do it, in a way that fits their lifestyle and pace. After working with me, you’ll know exactly how to get the sleep your body craves! I take a holistic, behavioral approach to helping you sleep. Sleep is tied to so many other things in our life such as activity level, stress, eating habits, etc. I help you to evaluate all the factors that affect your sleep and show you how to finally sleep all night. actually sleep at night instead of constantly staring at the clock wondering how you’ll make it through the next day on so little sleep. wake up feeling rested and renewed after a great night of sleep. feel relieved that you really can get a restful night of sleep. Comprehensive Sleep Assessment: This in-depth profile assesses different factors that affect your sleep including your home sleep environment, nutrition, exercise, and stress and will enable me to create a concrete strategy to improve how you sleep at night. You’ll feel a sense of relief that you’re finally getting to a solution. Written Sleep Plan with Recommendations: Created just for you, this simple to implement, step-by-step written sleep plan will change your approach to sleep over the course of 4 weeks. You’ll know exactly how we’ll change your sleep habits and you’ll be on your way to a restful night of sleep. With weekly action steps, you'll gradually change the way you approach sleep, making new habits more likely to stick for the long term. 1-on-1 Consultation: During your 60-minute phone consultation, we’ll discuss your current sleep situation, the ways it’s being affected and how it can be improved. I’ll walk you through your written plan so you understand what changes we’ll make and how to form new habits to enable you to get a full night of sleep. You’ll have new confidence in your sleep and your ability to get the sleep you need. 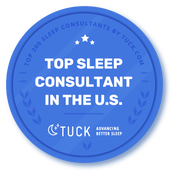 1-on-1 Follow Up Support to Help You Sleep at Night: While you work through your plan, I’ll be your personal sleep coach and guide. We’ll follow up during the 4 weeks of your plan to track your progress, celebrate successes and provide feedback to help you mitigate your sleep challenges. You'll be more aware of the things that affect your sleep and exactly how to have a great night of sleep. Sleep will no longer be something you wish you had more of. You’ll fall asleep confidently at night, knowing you can sleep through the night. ​Interested in working with me? Here’s how to get started. Step 1. Click on the button below and send me a note. Step 2. At the scheduled time of your call, we’ll chat about your situation and make sure we're a good fit. Step 3. Then we’ll get started! I’ll tell you the exact steps for getting started and you'll be comforted knowing that you'll finally have a solution. I liked that you did not use the crying it out method and it felt like a gentle transition. We appreciated how accessible you were through the process. With your guidance we were able to get our son to sleep through the night. The advice you gave was spot on and if we are having a difficult day or night I reference the information you gave us.